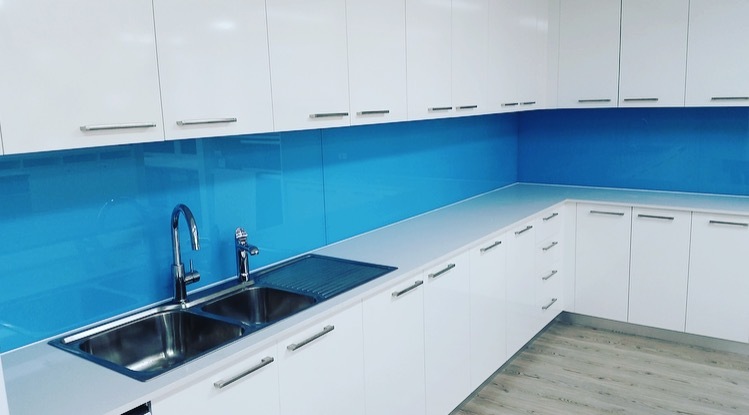 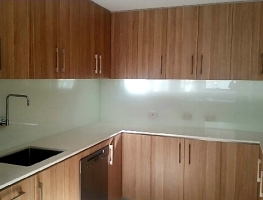 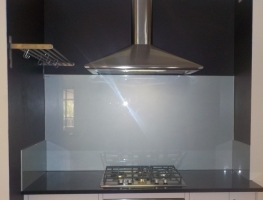 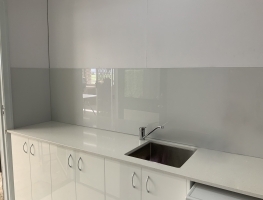 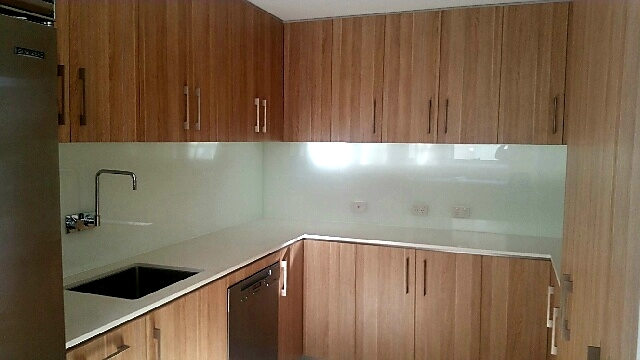 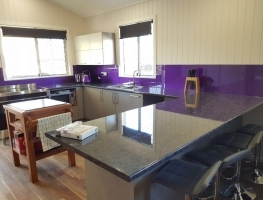 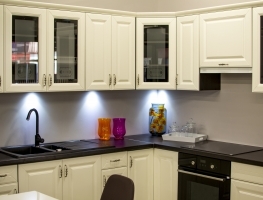 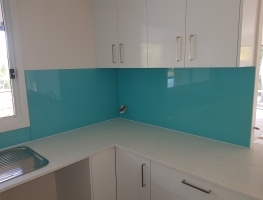 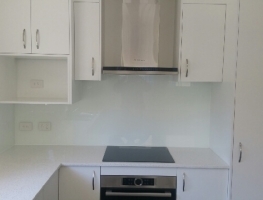 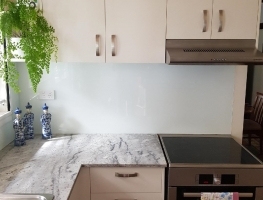 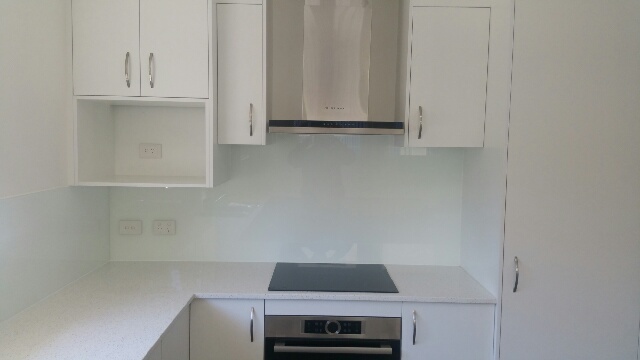 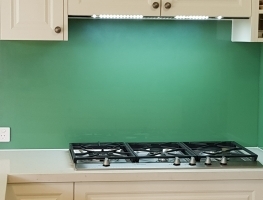 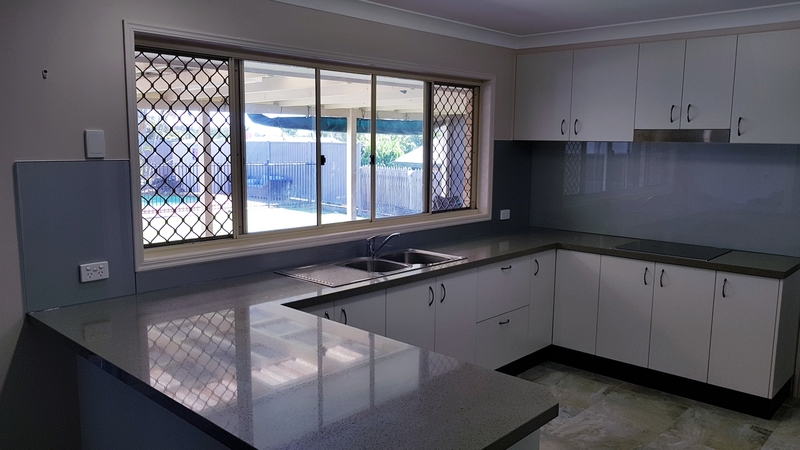 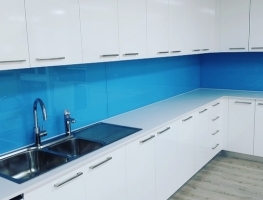 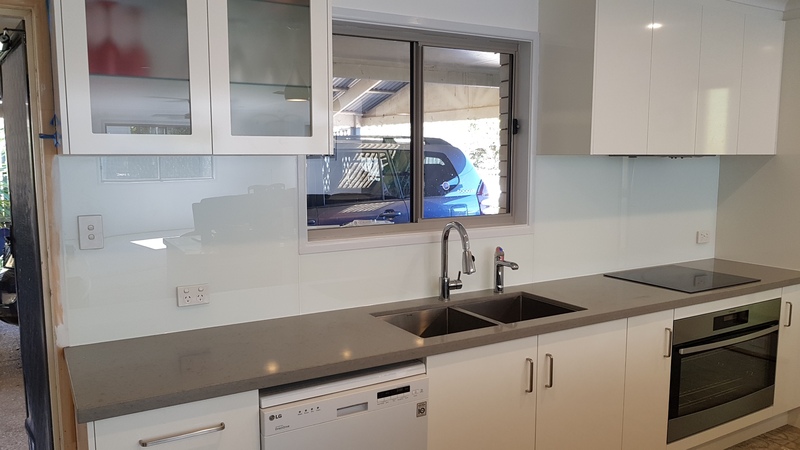 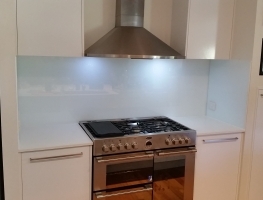 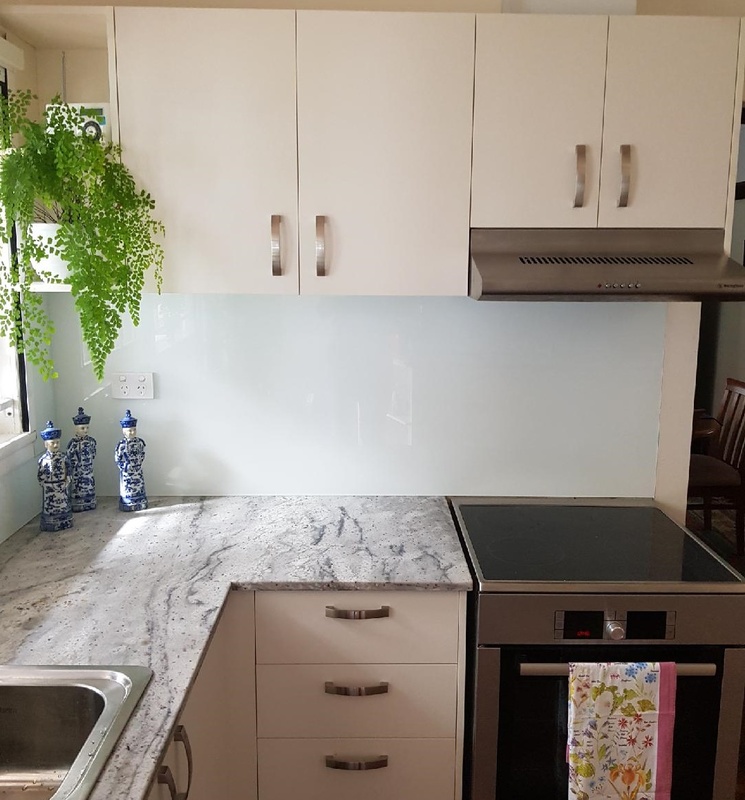 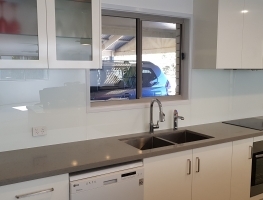 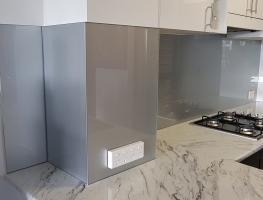 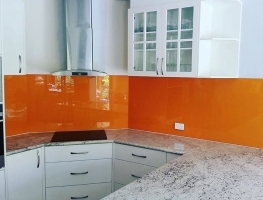 Our company has been supplying coloured glass splashbacks to the market place for over 25 years and pride ourselves on installing only the highest quality products and providing the best service possible by our skilled installers. 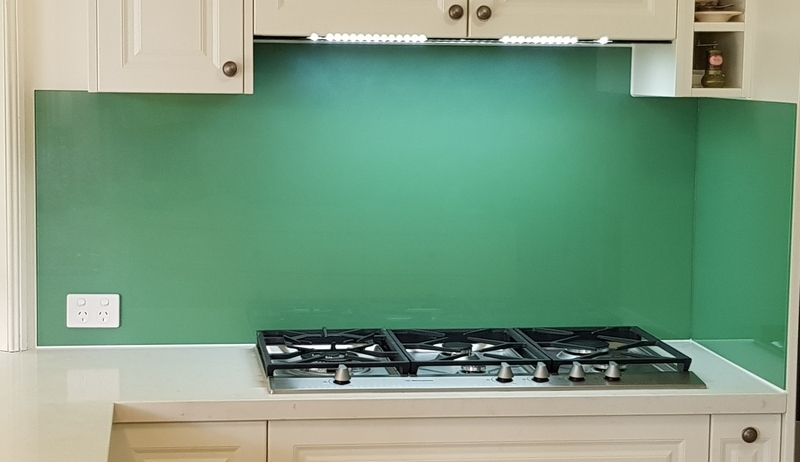 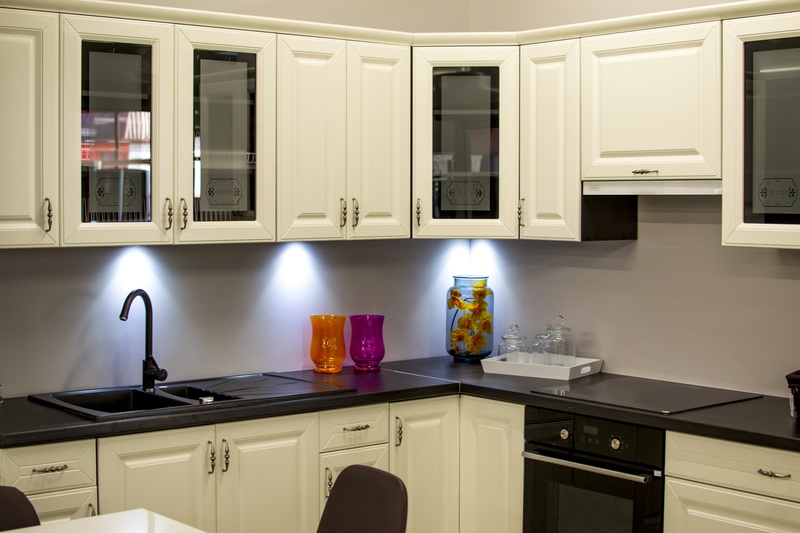 Our fully qualified painter specialises in painted splashbacks to compliment any colour scheme, opening up all sorts of possibilities, whatever the look you are hoping to achieve. 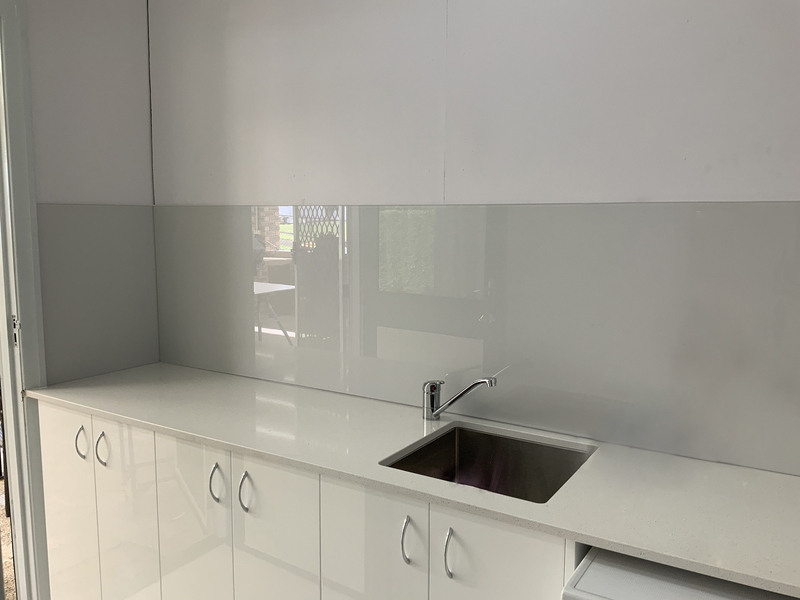 We assist you to find the ideal balance between practicality and style by providing an innovative and high quality finish for your kitchen or bathroom. 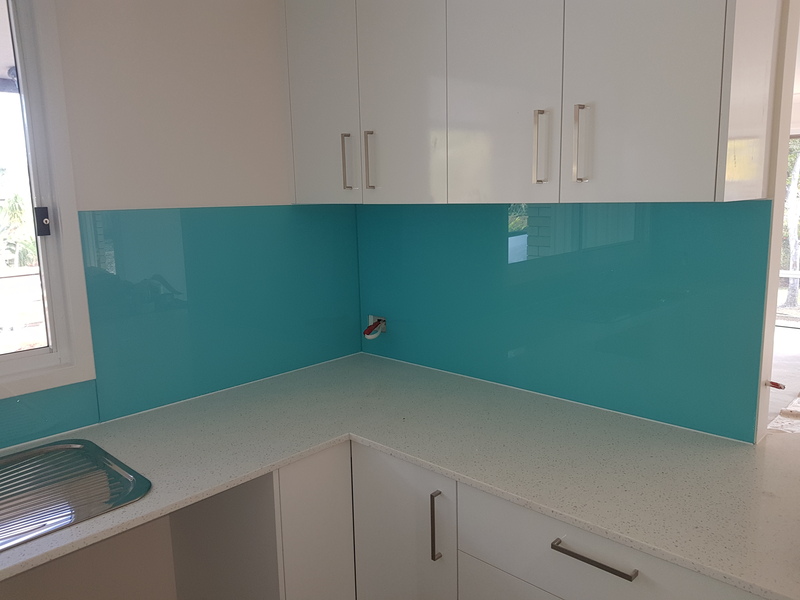 6mm toughened glass is utilised for all kitchens, bathroom and laundry splashbacks for that enable you to create a much more hygienic environment for yourself and for your family. 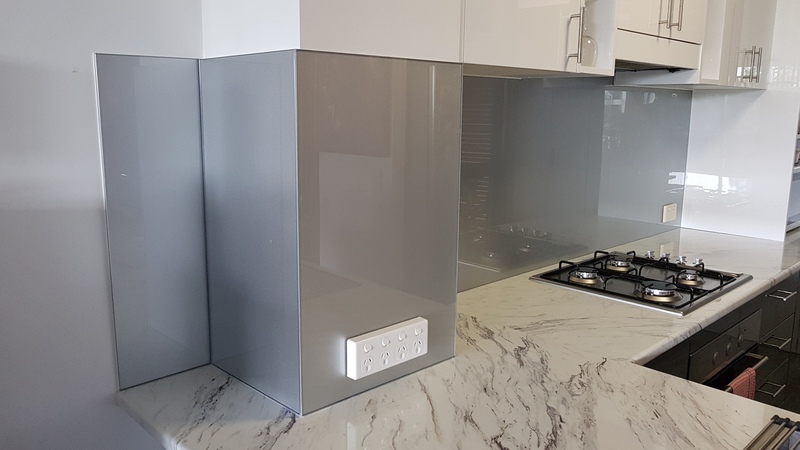 Installing glass splashbacks in your kitchen, bathroom or laundry is a great idea if you are looking to introduce a modern style to your home. 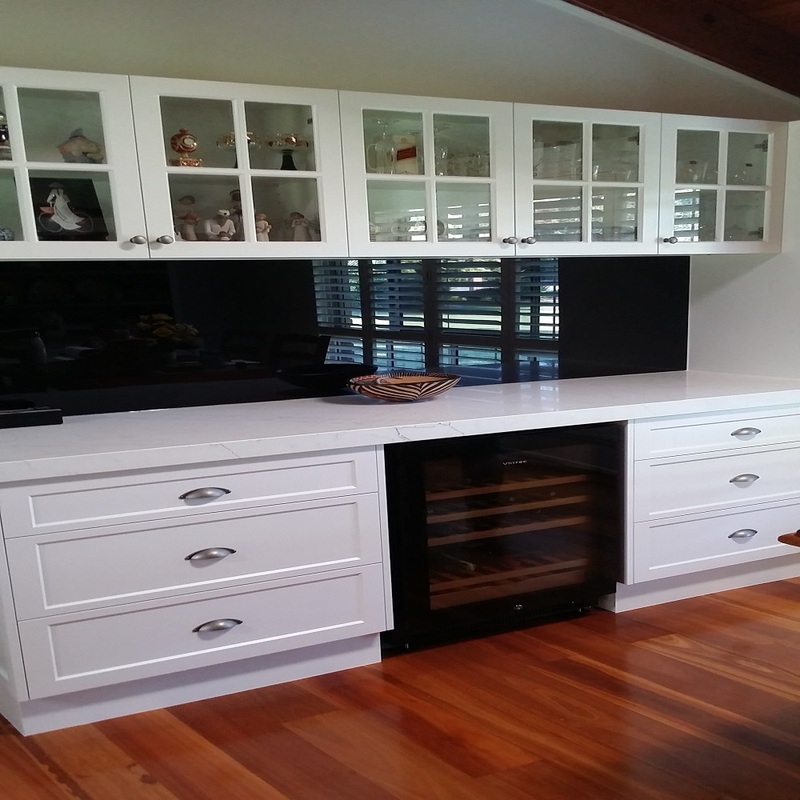 Our 10 year paint manufacturers warranty is provided on all our painted products. 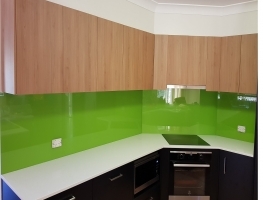 Graphic Glass Services also comply with Australian Standards on of our glass installations. 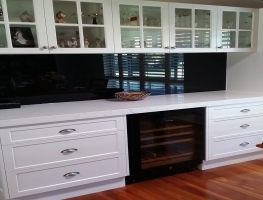 We also offer a 2 PAC painting service for customers who wish to supply their own glass. 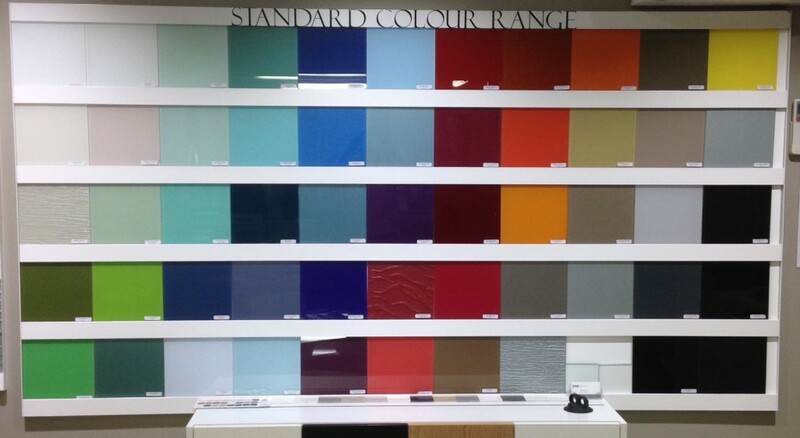 If we our standard colour range is not what you are looking for we can colour match Dulux, Taubmans, Pantone or Resene. 2 Pac painted glass and Digitally printed glass are part of the latest design trends and can brighten up any area. 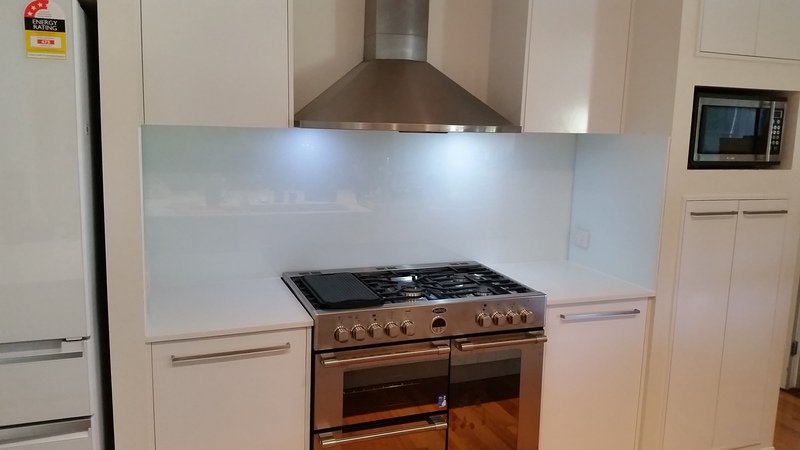 If you have an idea or design that you want produced then contact Graphic Glass Services to bring that idea to life. 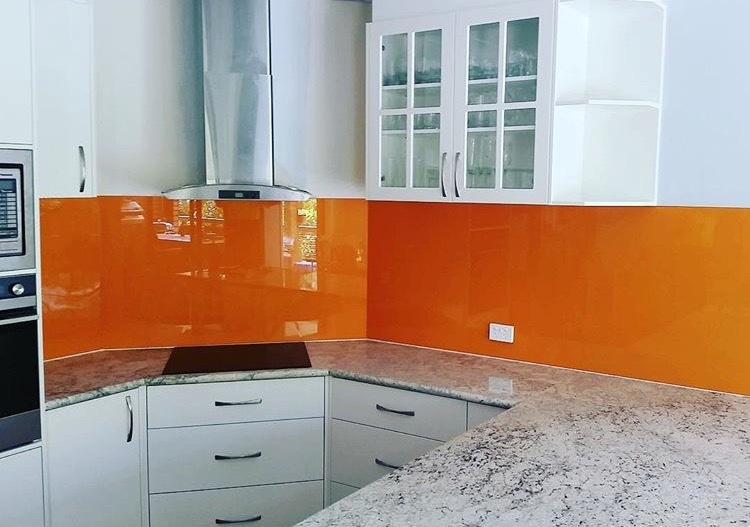 We currently work closely with designers, architects and clients to produce items ” outside of the box ” helping them create that custom piece with the “WOW ” factor that they are looking for their clients. 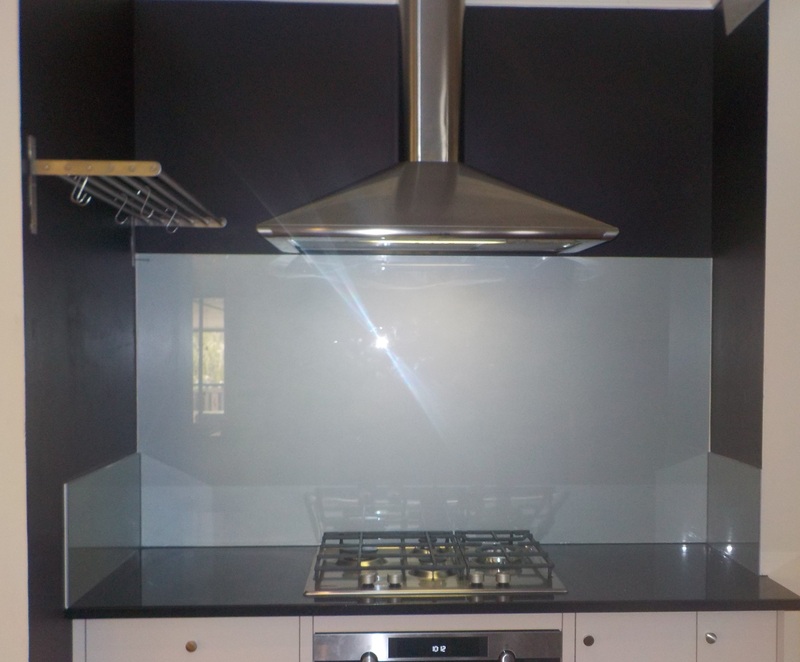 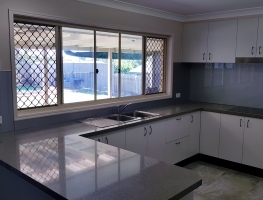 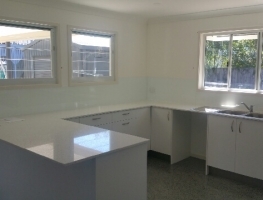 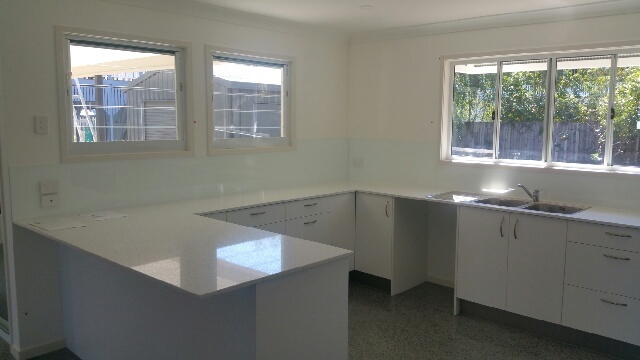 Our onsite tradesman glaziers are highly skilled and capable of producing to the most challenging specifications. 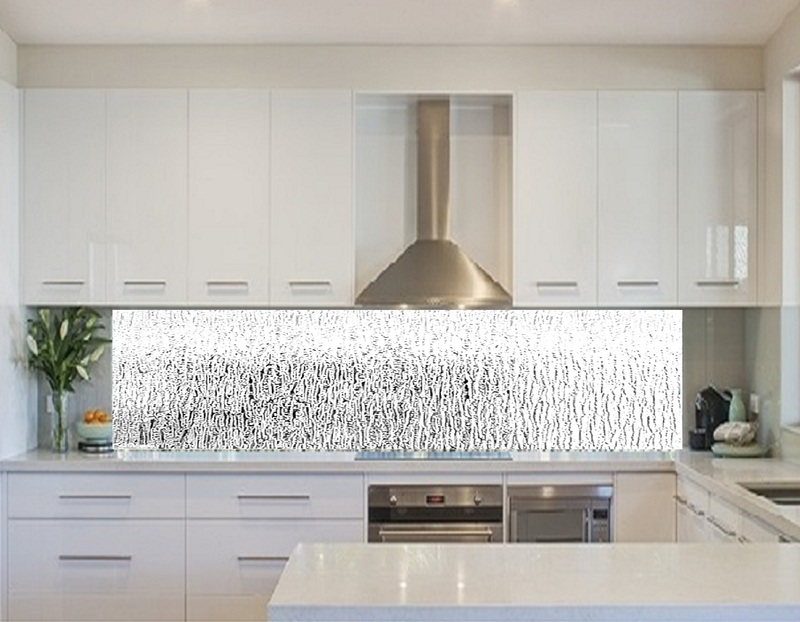 Written Warranty is available on request. 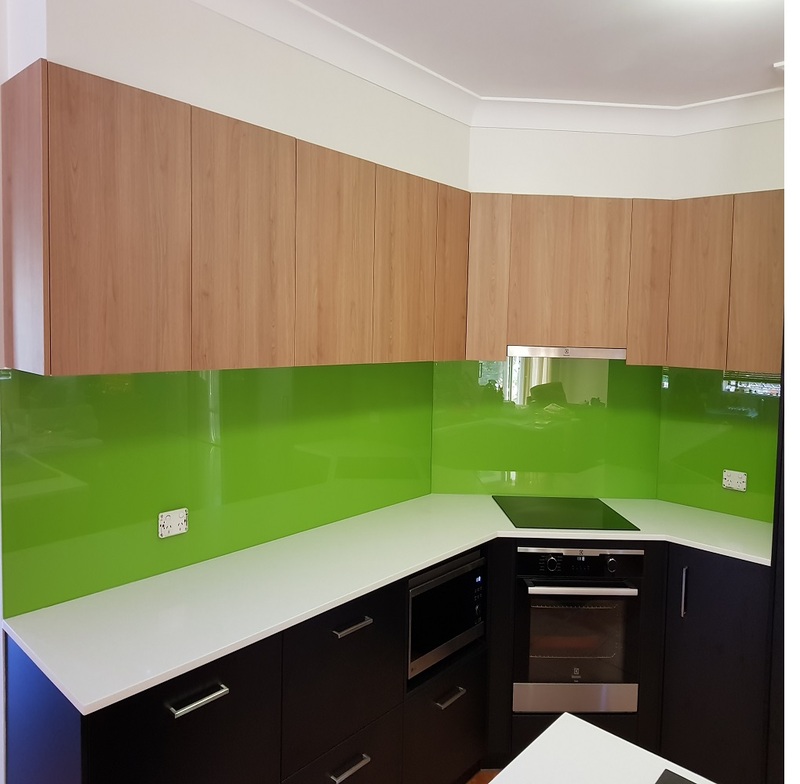 Talk to us today about how we can bring your glass to LIFE.